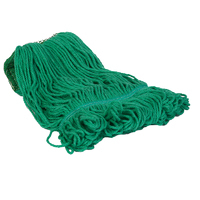 Our range of colour-coded socket and Kentucky mop heads will offer you the perfect solution - from traditional twine mops, to Revolution mops impregnated with Bactobrill, together with fully colour-coded microfibre mops. 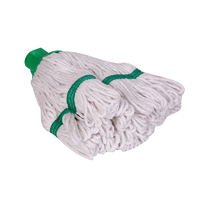 Our industrial socket mops and Kentucky mops, all manufactured to superior standards, offering high performance even in the most demanding of environments. 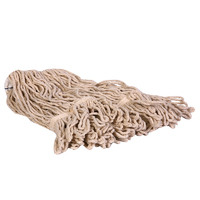 From micorfibre socket mops to Revolution Plus socket mops, our mop head products are available in a range of weights and are designed to accept most European threads. 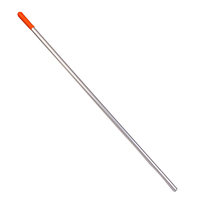 Alongside roughneck and standard kentucky mops, we also stock kentucky mop holders and non-threaded aluminium Kentucky mop handles with colour coded caps. 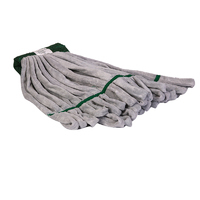 Alongside roughneck and standard Kentucky mops, we also stock Kentucky mop holders and non-threaded aluminium Kentucky mop handles with colour-coded caps. Made with looped white cotton polyester mix which has enhanced wearing and water absorption capabilities. 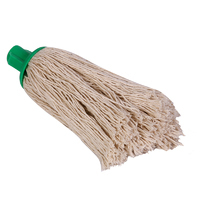 Mopping material is impregnated with the bacterial and fungal inhibitor 'Bactobrill' for improved hygiene. 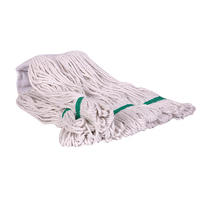 A colour coded stay-flat band encompasses the mop content maintaining the basic shape, and significantly improving mopping action. The looped Aquasorb content is held firmly in the coloured polypropylene handle socket which is designed to accept most standard European threads. Available in 4 colours. Made with looped white cotton polyester 'Aquasorb' mix which has enhanced wearing and water absorption capabilities. 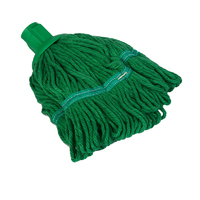 A colour coded stay-flat band encompasses the mop content maintaining the basic shape, and significantly improving mopping action. The looped Aquasorb content is held firmly in the coloured polypropylene handle socket which is designed to accept most standard European threads. Available in 4 colours. Made with cut natural coloured cotton twine material firmly anchored in a polypropylene colour coded handle boss which is designed to accept most European threads. Available in up to 5 colours for segregation. Made with looped all colour coded Aquasorb multi-fold material for greater wearing and absorption performance. With colour coded abrasive centre band (to assist residue removal as required). The entire multi-fold mix is impregnated with the bacteria and fungal inhibitor 'Bactobrill' for improved hygiene. A stay-flat band enhances mopping effectiveness. Available in 4 complete colours. Combines the virtues of microfibre with the traditional Kentucky mop. Colour coded with stay flat band. 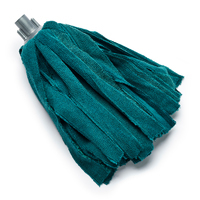 All the advantages of microfibre mopping are now available in socket mop format, in six colours including orange and purple. Achieve greater results and cleaner surfaces with less effort. Compatible with all standard threaded KsPrism handles. 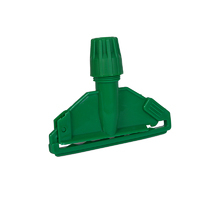 A strong handle using 25mm 1.5mm wall thickness, side welded aluminium tube. All exposed aluminium is anodised for permanent high shine finish. Colour coded end caps in up to 11 colours assist segregation whilst the opposite end is left plain to suit socket, holders, mops etc.